A murder victim’s cell phone leads Glasgow DI Alex Morrow to a seaside town that has more darkness and secrets than one would imagine. Denise Mina is one of the best crime fiction writers to come out of Scotland. You can find copies of Blood, Salt, Water on our shelves and via bookpeople.com. This book follows the relationship of a massage parlor worker and the tarnished-knight ex-boxer hired to work security for the place. A evocative and human modern LA hard boiled. You can find copies of A Better Goodbye on our shelves and via bookpeople.com. I am thrilled that one of my all time favorite Lansdale books is back in print. Set in the late Fifties, a young boy discovers a collection of old love letters behind his family’s drive in that unlock the fist clues to a twenty year old murder mystery. 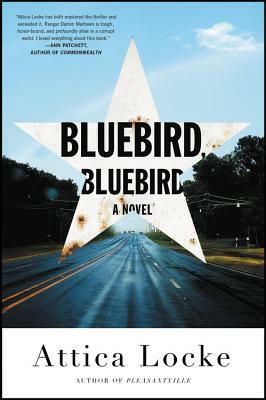 One of the author’s most personal novels.You can find copies of A Fine Dark Line on our shelves and via bookpeople.com. Well, talk about taking an old, sometimes tired, genre, and giving it a new twist – author Bavo Dhooge has certainly done that. While this is the author’s first book to be translated into English, he’s written 100 other books and is a best-seller in Belgium. In his new book, Styx, a police officer chases a serial killer….at first, it doesn’t sound like the most novel concept in the world. 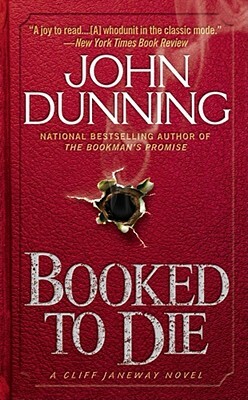 Dhooge, however, quickly brings in the more unique aspects of his narrative. The killer, dubbed “The Stuffer,” removes his victims’ organs and fills the resulting cavity with sand, turning murdered bodies into art displays. As an even more creative touch, the protagonist dies early on… which normally would make this a quiet book, or with one changing protagonists, right? Instead, Bavo takes it a new direction: For unknown reasons the police officer returns as a zombie to continue the hunt. Now that’s how you add a new twist to the genre. Eric Beetner’s new novel The Rumrunners is packed with fun action, perfect for those of us who grew up watching the Duke Boys and The Bandit outrun the law. The story concerns Tucker McGraw, a man from a long line of men who transport illegal goods – usually liquor or drugs – who has decided to go straight. Soon enough, he gets pulled back into the business, when his father disappears with a mysterious shipment. The redneck ring of criminals employing the McGraw family force Tucker and the McGraw family patriarch, Calvin, to pay off the debt as drivers. Full of car chases and colorful characters, it is a fast paced, run ride. I caught up with Eric to talk about the book, its inspiration, and how he wrote a book that moves as fast as Burt Reynolds in a Trans Am. If you want to get a clearer view of what Absoroka County, the fictional jurisdiction of Craig Johnson’s Sheriff Walt Longmire, Craig recently wrote this article for Cowboys & Indians, giving a tour of what he calls The Longmire Loop. Asaroka County may not exist, but if you take what I like to refer to as the Longmire Loop, you will get a real sense of Walt Longmire’s world. Start your tour in Buffalo, Wyoming, the model I used for Absaroka County’s fictitious seat, and spend the night at the lovingly restoredOccidental Hotel. Have the usual at the Busy Bee Cafe on Main Street, and then mosey up the steps past the courthouse to the old Carnegie Library, the model for Sheriff Longmire’s office that now houses the Jim Gatchell Memorial Museum. From Buffalo you can thread your way out to the Ucross Foundation and take in the gallery at the Big Red Barn or catch a trail ride at The Ranch at Ucross. Traveling northwest to Sheridan County, lunch at the Big Horn Smokehouse & Saloon, and then visit The Brinton Museum, home of a grand collection of Western art both classic and modern. Hit Sheridan proper 15 miles farther north and make your way to King’s Saddlery, where you’ll be enthralled by the family’s Don King Museum of cowboy memorabilia. We’ve shared this article with you just in time to pick up Craig’s collection of Walt Longmire short stories, Wait For Signs, now out in paperback. You can find copies of Wait For Signs on our shelves and via bookpeople.com. I recently participated in a Noir At The Bar event in Dallas hosted by Eryk Pruitt. Eryk also performed a reading that night that had everyone on the floor. when I told him I wanted to feature one of his stories on Crime Fiction Friday, he suggested this piece about cracker barrel conversation and crime that originally appeared in Plan B magazine. Ever since Gone Girl flew off the shelves quickly enough to convince publishers that a bestseller can include an unlikable female protagonist, we’ve seen a flurry of excellent reads exploring the darker side of female psychology popping up in the mystery section. As part of my New Year’s resolution to embrace the subgenre of domestic suspense, I’ve been catching up on some of the many psychological thrillers to star complex and sometimes less-than-likable female protagonists. The women in each of the novels discussed below may be smiling as much as the rest of us, but their interior worlds are dark, brutal, and confused; marred by competition, and healed by solidarity. Each of the following novels uses mystery conventions to tell stories about the pleasures and complexities of womanhood, and about the ungendered struggles of life. Each is entertaining, and each is quite different. Max Allan Collins’ hitman Quarry is a character who is more popular now than he has been since his debut over forty years ago. A few decades after the series ended and later developed a cult following, Hard Case Crime asked him to do one more book, The Last Quarry. That lead to at least five more books, a film, and a Cinemax series to appear in the fall. 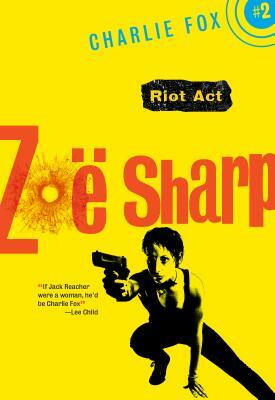 This has urged Hard Case Crime to bring the five original books back into print, starting with the first, simply titled Quarry.